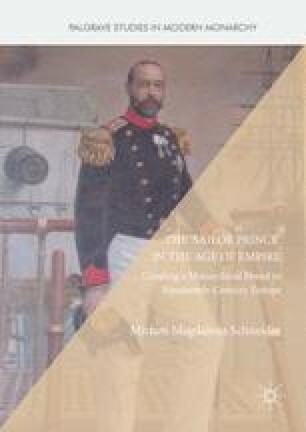 This chapter analyses the success of the monarchical brand ‘Sailor Prince’, tracing its geographical reach as well as further history. It points to a broad variety of other ‘Sailor Princes’ from the period as well as to the many princes that followed in their footsteps. In particular, the chapter asks how far the First World War brought an end to the popularity of the public persona or whether some of its key features did not continue well into the twentieth century. Finally, the chapter also discusses a range of other monarchical brands, arguing that these have to be seen as mutually supportive.